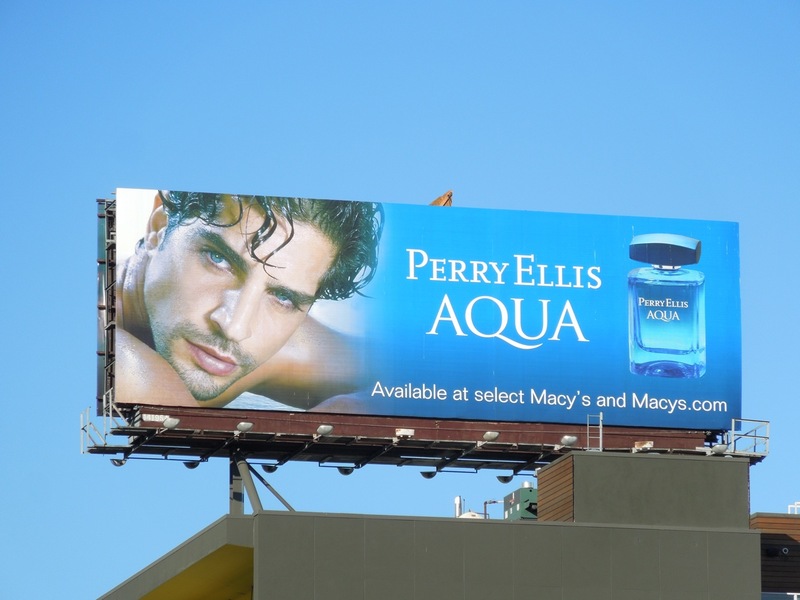 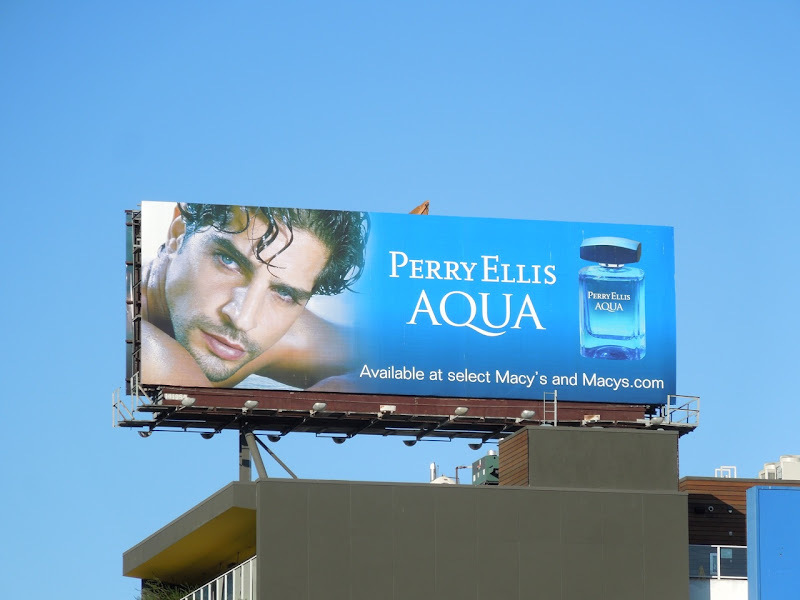 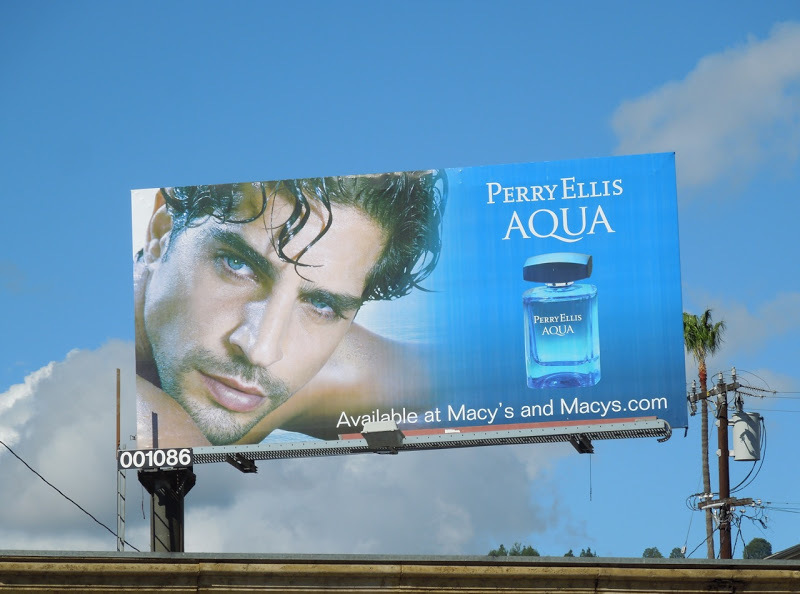 Daily Billboard has long been admirer of this Perry Ellis Aqua fragrance billboard. 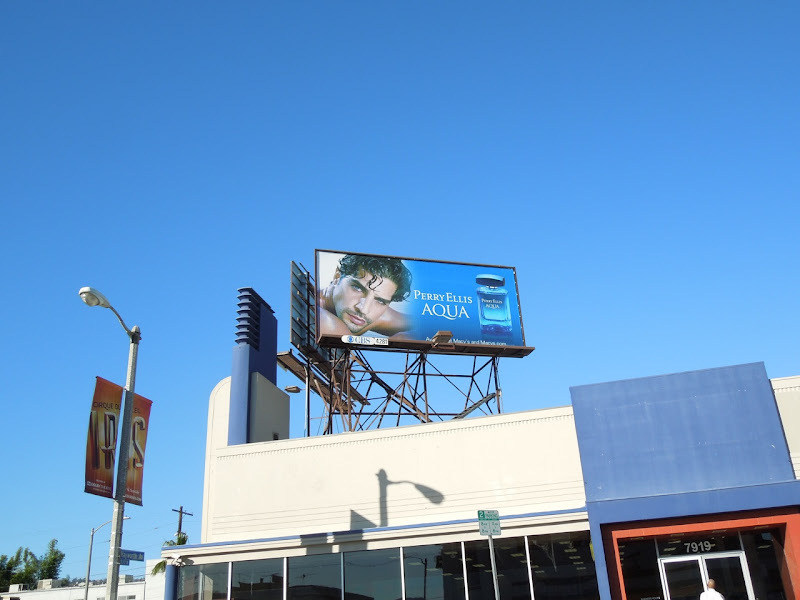 The ad creative has been around for some time, but that bold blue, plus the handsome features and piercing eyes of Nir Lavi really stand out against the L.A. skyline. 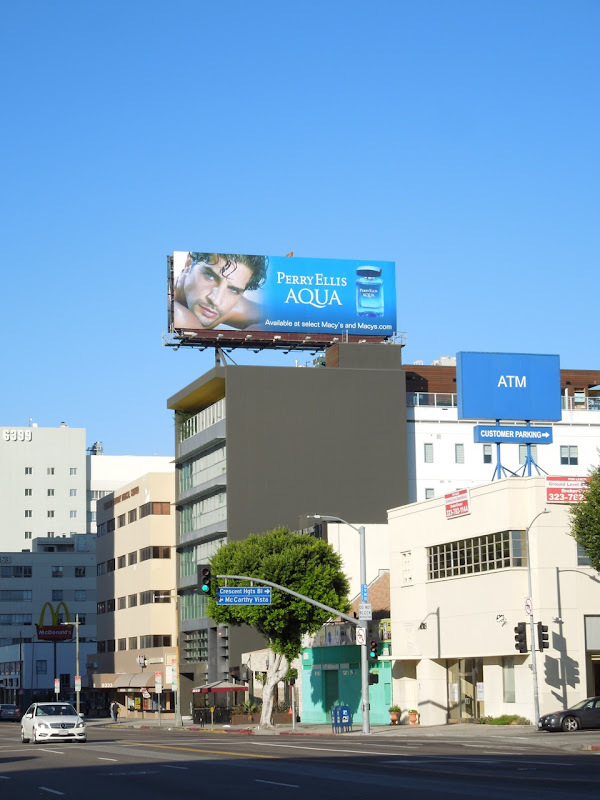 The smaller format Aqua cologne billboards were snapped along Santa Monica Boulevard at Robertson Boulevard on November 28, plus along Beverly Boulevard on December 20. 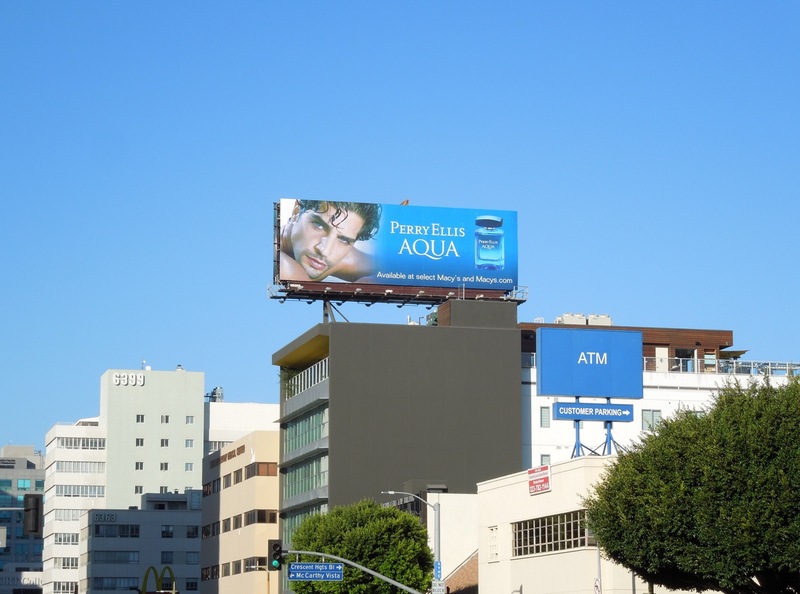 The standard landscape format was spotted along Wilshire Boulevard on December 15, 2012 just in time for the Christmas gifting season. 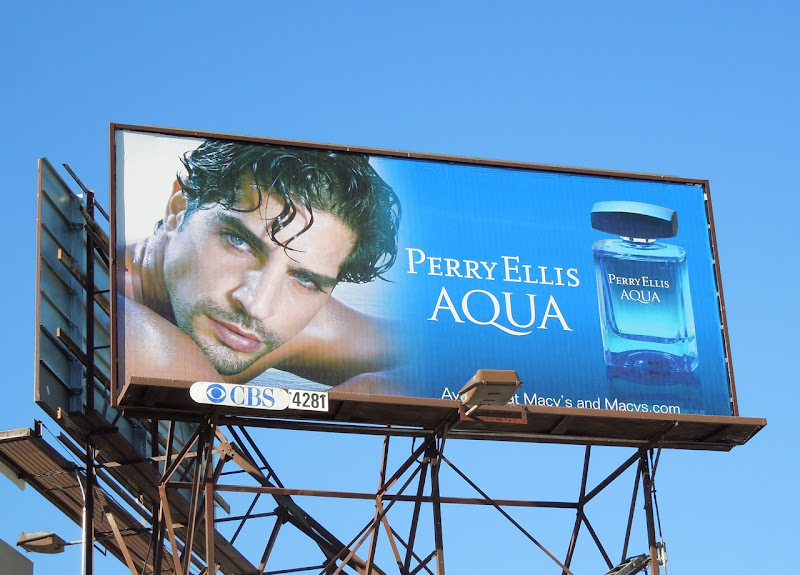 If you're a fan of the fashion brand, be sure to also check out this giant Perry Ellis bow tie billboard from earlier this Fall.